First of all, I would like to say that I bought this book, Tell no one by Harlan Coben, in the first place not because of its plot but its captivating cover page. The cover page may look like an ordinary orange color but it is an orange highlighter color. Though I haven’t read abundant of thriller books, this book will be one of the books that I would recommend. When I read this book, I didn’t know the time was passing. Although I had to do my homework for the next day, I couldn’t resist letting go of the book. It is one of the books that one can finish in one day or two. Also, when I was reading the book, I thought that I was watching a very good movie. I had somehow established the characters in my brain. 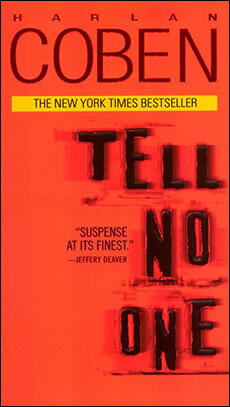 Tell no one by Harlan Coben is actually adopted into a film in France and won the four categories of awards in France. This definitely once again proves that people should read this book if they like thrillers.In Tell No One, the protagonist loses his wife one day and he believed that his wife was dead for years. However, eight years later, he receives an email, which contains a secret code, a message, which leads to a video of his wife. 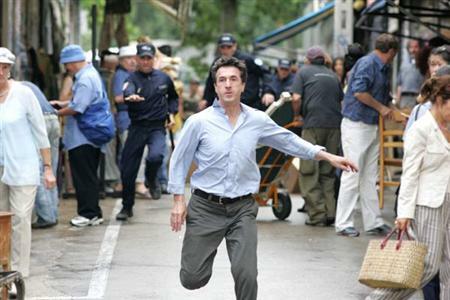 He realizes that his wife is not dead at all and begins to look for her. As he looks for his wife, he starts to know about his wife’s unknown past. The husband goes through so many events that he has not expected. With an unexpected turning point, the story finishes. I hope that many people, who aren’t interested in thrillers, to read this book because it will be one of the book that will be finished before they know it. Here’s the trailer of Tell No One directed by Guillaume Canet! !